Oral care should be a top priority for you and your family. Your oral care doesn’t just directly affect your smile, but your overall health. Ensure you are engaging in a proper daily oral-care routine to not only keep your smile beautiful but to keep yourself healthy and save yourself time and money in the future. If you do in fact have a healthy mouth, you will be able to tell by the various tissues in your mouth, your teeth, and your breath. Many people believe they are engaging in healthy oral habits when in fact they are not. Quickly brushing your teeth every night isn’t enough. You should be brushing your teeth with cavity-fighting toothpaste at least twice a day for 2 minutes each time, gently, and in small circles. You should also be flossing daily; which dentists cannot stress enough. Flossing is one of the most commonly neglected oral health habits which is one of the reasons why gum disease is so prominent amongst middle-aged people in the United States. If you are wondering whether or not you truly have a healthy mouth, look for these signs to determine the answer. Gums are one of the most prominent indicators of a healthy mouth. If your gums are a light pink color, they are likely in good health. If your gums are greyish, pale, or bright red, these are all prominent indicators of unhealthy gums and even gum disease. If your gums are healthy, they shouldn’t bleed when you brush or floss your teeth. If they bleed a bit when flossing, don’t panic straight away, this could just be an indicator that you need to floss more often. If you are properly and gently brushing your teeth and still experiencing bleeding gums, you should see your dentist to check for signs of gum disease. If your teeth are strong and your dental restorations are in check, it is a sign of good oral health. You should also check that your teeth are fully one color, particularly a natural white color. If you notice splotches of yellow, grey, or brown on any of your teeth, this can be an indicator of an unhealthy tooth and you should see your dentist right away. If your teeth are full and without chips and grind marks, this is another health sign you want to look for. If your teeth appear slightly ground down, you should see your dentist straight away as you could be suffering from bruxism, a common issue that involves subconscious grinding and clenching of one’s teeth. Pleasant or neutral breath is another indicator of a healthy mouth. If you notice that your breath is slightly foul, sour, or off, it could mean that bacteria and food particles are residing in your mouth and you need a proper cleaning. Bad breath can also be an indicator of other health issues such as diabetes, liver problems, tonsillitis, or even sinus issues. Aside from healthy gums, you should look to the other tissues in your mouth to ensure oral health. All tissues should be slightly pink in color, firm, and moist. They should not be pale, grey, yellow, or bright red, inflamed, or bleeding. Another indicator of a healthy mouth is jaw muscles that are not tense, tight, or sore. Bruxism and TMJ are very common oral problems that many adults suffer from here in the United States and include teeth grinding and clenching. Often the grinding and clenching occur subconsciously or at night while the person is sleeping. If you notice that you have very tight jaw muscles that ache or if you are suffering from headaches and neck pain along with a tight jaw, it may be an indicator that you are grinding your teeth and you should see your dentist right away to be sized for a splint. Untreated, bruxism can lead to cracked teeth and even call for veneers or dental implants in severe cases. 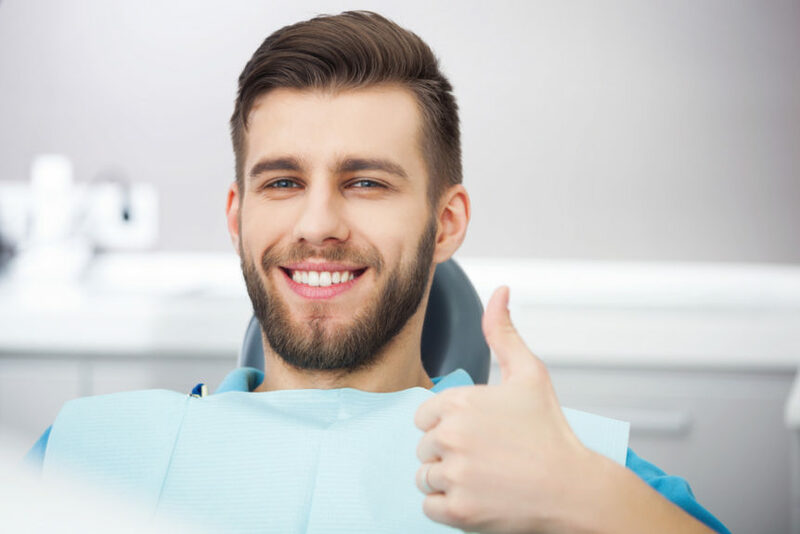 One of the most important steps you can take to ensure your oral health is to visit your Irving dentist regularly for cleanings and checkups, about every 3 to 6 months. On your own time, be on the lookout for these indicators of a healthy mouth and ensure that you are in check. You shouldn’t take oral symptoms lightly as often they can worsen quickly or even be indicators of more serious health issues. Here at Cosmetic and Family Dentistry, you and your family’s oral care and health is our top priority. If you have any questions or would like to schedule an appointment with our trusted family dentist in Irving, give us a call today.